You are going to need to start exercising if you are going to undergo bariatric surgery or if you have already completed it. When you start on your road to weight reduction surgery you need to lose some weight before you can be accepted for the surgery. On the other hand, you also need to start exercising once you have completed your surgery. Going through bariatric surgery is a long process, one that might seem daunting, but you can do it. At Weight Zen, located in New York, we can provide more information about weight control and bariatric surgery. Come check us out and see if bariatric surgery is for you. A little competition never hurt anyone. In fact, it helps people more than you think. A great way to begin losing weight for your surgery or after your surgery, is by competition with your friends. Go exercise with your friends and see how much better you become day after day. Start off slow with walking around the block with a friend or a group of friends and slowly work up to harder and harder activities. See how you and your friends last against each other and feel great doing it. You don’t have to be alone in your weight loss journey, encourage your friends to get healthy with you. As you become better in shape, you can also begin competing in different challenges such as how many miles you can do in a week or how many pushups you can do at once. Wherever you live I’m sure it’s gorgeous and fun. If you live in the country, go out and explore, if you live in the city, go check out a new part of it. No matter where you live, there’s some areas to explore. Check out a historic part of your city or go into the woods and try an easy nature trail. Wherever you go make sure you continuously move and remember to take in the people, view, or the beauty of being in nature. 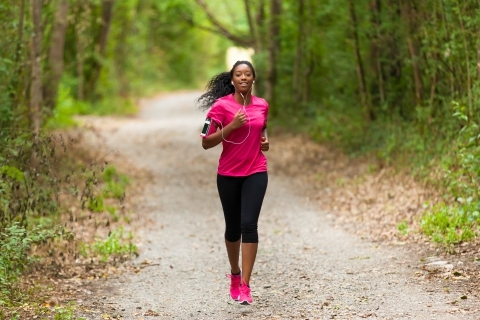 Walking is easy on your body and you can burn a few calories as you experience new things. Set a goal to start exercising three times a week and see the changes in you. Combined with weight control you’ll feel like a new person. Do You Need A Revision To Your Bariatric Surgery? Can The Gastric Sleeve Help Your Polycystic Ovarian Syndrome?